We finally have figs! The harsh winter destroyed many a fig tree, but luckily mine survived. They are ripening much later than usual and I don’t have as many as previously, but that is okay. I’m just happy to have figs! Now to harvest them before the birds, deer and whatever other animal decides to help themselves. 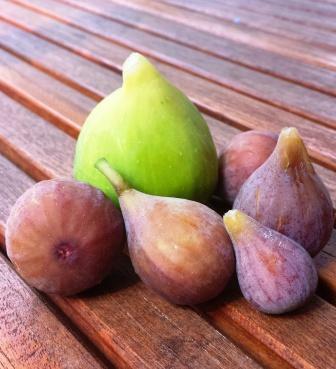 I probably won’t have enough to make my Fig Preserves since I’m eating them as fast as I pick them!